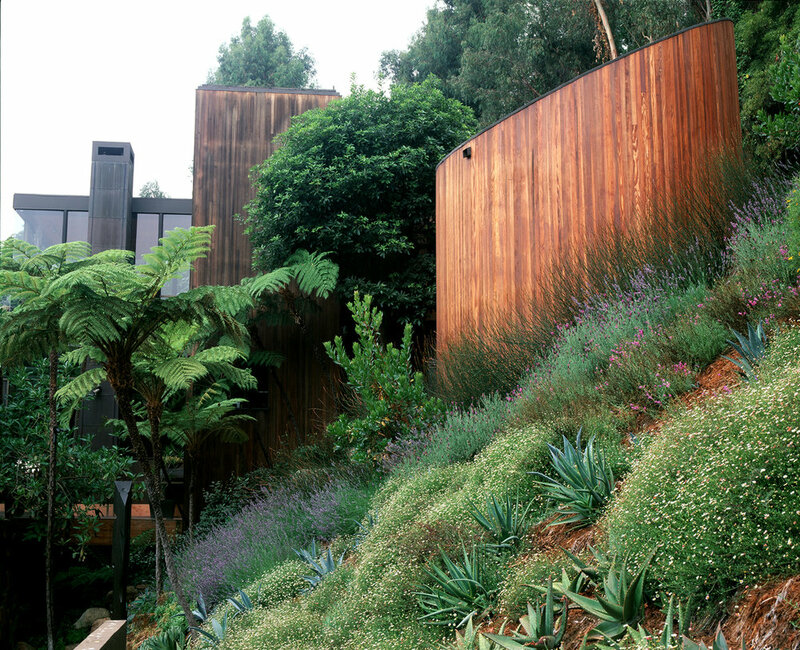 Intimate garden spaces of distinct character weave through the Ray Kappe designed house. Steps, walls and fountains of sweetwater stone compliment the rich redwood siding of the house and unify the various gardens. The landscape serves as a lush backdrop for the client's extensive art collection. Rugged stone stairs lead through the garden to a James Turrell Sky Space nestled in the hillside.